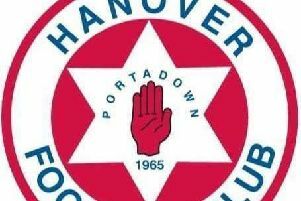 A Portadown man told two teenagers working in a Chinese takeaway that he was in the IRA and threatened to kill them, Craigavon Court heard last Thursday. Gavin Paul McCourt (42), Obins Drive, admitted a number of offences which happened on March 28. For making threats to kill he was given six months in prison while five-month terms were imposed for two common assault offences and resisting police and he was given a three-month sentence for disorderly behaviour. All sentences were suspended for three years. McCourt was also ordered to pay £200 compensation to each of the two injured parties. The court heard that police were tasked to the New Mandarin House Chinese takeaway after a report of a man trying to get back in after threatening staff. When they arrived at 9.55pm they were given a description of the defendant who was intoxicated. He was located nearby in West Street. McCourt was agitated and aggressive towards police. He refused to give his date of birth or address. It was alleged that when he entered the restaurant he claimed to be in the IRA and threatened to kill a 17-year-old worker who feared he would be assaulted. McCourt then threatened to kill another 17-year-old worker. The defendant struggled with police and had to be put in handcuffs. In the custody suite he lunged at a constable. The court heard McCourt had initially denied the charges and only pleaded guilty on the day of the contest. Both of the young witnesses had turned up to give evidence. A threat to the police charge and another charge of damaging the door handle were withdrawn. A defence barrister said that he had consulted with McCourt and advised him the matter was only going to go one way for him. He added that his client felt hard done by but in reality was very straight about the facts and wanted the matter dealt with. The barrister explained that McCourt had been treated for his addictions and had been taking alcohol and mixing it with mephedrone. He added that the defendant was disgusted and embarrassed by his behaviour which must have “frightened the life” out of the victims. McCourt had been on an alcohol binge for a number of weeks prior to the incident but the lawyer said his client was currently abstaining from alcohol. and although it was clear it was a case for custody he asked the court to consider suspending the sentence. District Judge, Mr Mervyn Bates, said it was reprehensible for the defendant to have these young people give evidence against him when he had no recollection of what happened. “Their accounts were remarkably consistent,” he added.